Happy fresh start to a fresh (and at some point crisp) month! October means cool down but not for all including my area. I hope you all can continue with your fitness (you are getting it in, right?) Now is a great time to get to exercising more outdoors and upping your time and miles you go for walks, jogs, runs. Don’t forget to get in the gym too – no point is pushing that off when we all know the cold air will be rolling in with the next change of months! Today I’m going to start a new little adventure with you all. It is actually my true passion. While I love working out (it’s the best therapy you can ask for!) my true passion lies in food! If we look at our world in terms of food every single person has some type of relationship with it. It is the one thing that sustains life, defines a period of our lives, can conjure up a whole smorgasbord of memories, and for us blessed to be in a rich country – can control. 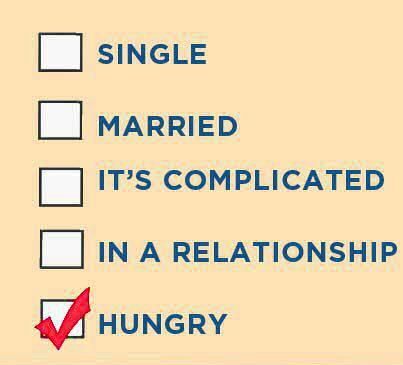 What is your relationship status with food? 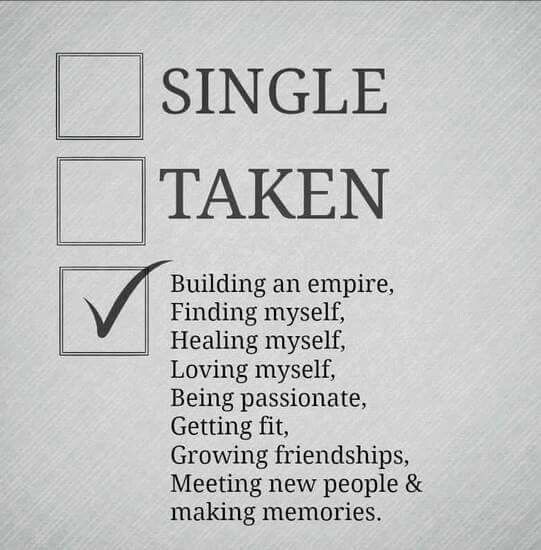 On social media you can pick the relationship status that best suits you. We have single which can mean more than unmarried or unattached. It can be single and ready to mingle or single and totally down with the solitary life. There’s in a relationship which means you are not married but you are seeing someone. I think that’s what it is supposed to mean! Then you have the fun, it’s complicated, if there has ever been an open-ended response then that is it! The next one is married. We get that. Then you have others like widowed and divorced. Food and I are single. These are the folks who do not identify a relationship with food. They are what I like to strive towards. These are the people in the population that see food as fuel. It isn’t a celebration it isn’t mourning. Food to them is not their reward. They go out to dinner and you look at their spinach salad and grilled chicken and think about how sad their lives must be. These are the people who do not seek joy through food. Food does not define who they are. Food and I are in a relationship. The members of this category are going hog-wild because they know when the birthday week rolls around they are getting cake! They look forward to Friday night dates because they are going to their favorite Japanese Steak House! Let’s not even explain the importance of August 28th to them…(pumpkin spice returned.) This group is not part of the singles. Where the singles could care less about restaurants and PSL’s this group has it marked on their calendar. Food doesn’t define them or control them but it gets them pretty excited during certain times of the week and or year. This group will order what they want on Friday night but for all intents and purposes keep the smarter side of nutrition going strong. Food and I are complicated. Complication you know we are going to get gear it up a notch when that word pops up. I am not a doctor but I can tell you when your relationship with food is complicated that’s when we see things going on that are more serious. This portion of the population has their hands full. Sometimes it’s complicated because they have food insecurity. That means that they may have a bare cupboard and fridge. After the bills are paid they have $1.49 left for groceries. This creates a complication. The other side of the scale with complication is the group who binge on food and then purge. They have the food, they want the food, they eat the food, and they eliminate in a non-nature-intended way. This is also the group that defines their best friend as a Chickfila Combo #1 with Dr. Pepper and will have that combo day in and day out. It defines them. Generally, this group does not see food as fuel (singles) nor do they stray for bad stuff on special occasions only to eat sensible the other days of the year. Food and I are married. A common struggle for newlyweds is control. This is found in couples who get married at an older age than the traditional twenty-something marriages. When you get married you have to relinquish a bit of control and learn the art of compromise. Some marriages never do this and sadly some people will never compromise in their relationship with food. This is the population that has food as the center of their world. Their decisions are based on food. Unfortunately, it doesn’t translate to food that is fuel but rather food that is comforting, easy, and convenient. Food is what they go to when the day has been less than stellar. Food is what they go-to for celebrating. Food is their bestie and they keep their bestie with them at all times. On the flip side of that we have a second view of the unhealthy marriage. Have you ever had a friend who was married to someone who was very controlling? That person controlled where their spouse went, who they were friends with, what they wore? That type of marriage is common with food too. We will dive more into that later. Food left me divorced/widowed. This often comes from illness. Patients who have faced tough treatments (chemo and radiation) or have had to go on medications that alter their taste buds, GI tract, etc can develop a widow status when it comes to food. Not being able to taste “good” or having issues with digestion can make a person fail to want to eat. They will eat but they become estranged from food. You cannot get this class mixed up with the single ones. The single ones opt to see food as fuel they will still eat and not be afraid to eat. If you asked me the question I posed you – what’s my relationship status with food – I would tell you immediately I am in a relationship with food. I eat the same thing day in and day out but when October hits I indulge in some pumpkin and apple goodness. I look forward to date night and deviate away from my regular eating patterns. But I only deviate here and there. I do not deviate weekly. I also make sure that my energy expenditure is where it needs to be to account for that crap I ate on Saturday! There have been times in my life that I was in a complicated relationship with food. I was safe with having enough but I would eat too much and let it fly out the pie hole. Or I would attempt to starve myself to drop a size or two. Thankfully, those were part of my early twenties and I learned really fast that any time you purge or refrain from eating you are actually setting yourself up to gain even more weight. By grace I have never been married or divorced from food. The thing is – if you fall into either of those categories you are so not alone. There are millions of people who are married to food and rely on it for comforting in times of stress, heartache, and sadness. There are also millions of people who are divorced from food because of a health issue that left them alive but in some tatters with taste and digestion and many more complications. If your relationship with food is not quite the healthiest you need to know something. No matter what you think you are in control of changing the relationship. It isn’t always easy and it isn’t always exciting but it’s your option. And this little spot is celebrating food relationship for a while. We’re going to dive in and dig up reasoning for why we are the way we are. We are going to search and share the best ways to change our status to be better, happier human beings. Thank you so much for checking out CCK! My passion is nutrition and helping people overcome their hurdles to better health! What a great passion to have! Will definitely check out more of your blogs, it really resonated with me! Oh thank you for your kind words! Every Tuesday I am posting on this topic. Oh great – thanks for letting me know! I’ll keep an eye out, for sure! You know food is my passion too! I don’t know if I fall under under any of those. I guess my dating life is the same! I live to eat but always practice moderation. I am upping my workouts in anticipation of more calories and if it ever cools off i am starting running!